Temperamental weather isn't an excuse. Layer up in this women's slim-fitting running hoodie made with Speedwick fabric that moves moisture away from your body. 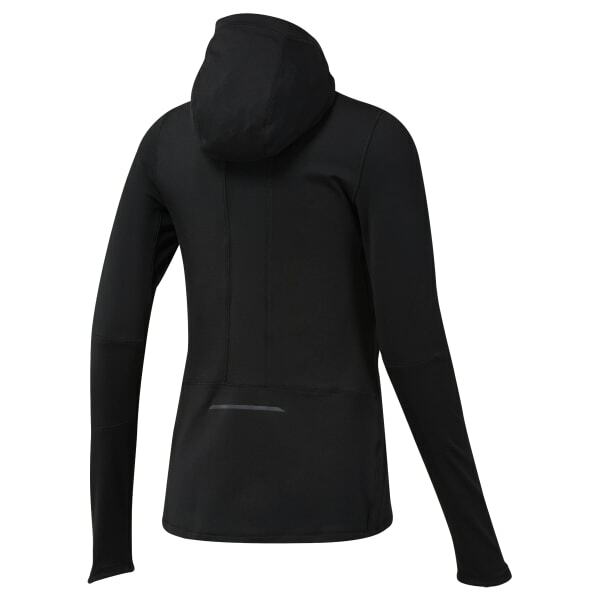 A scuba-like hood covers the neck and head, while the mesh panel in back adds breathable ventilation.